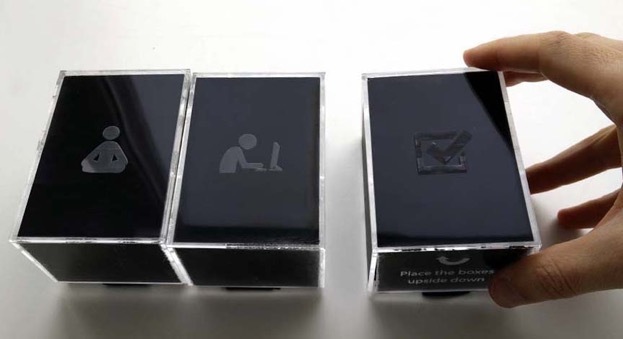 We have several new prototypes. Many of them have been already presented in some conference or in a research article. Some of them are relatively mature prototypes when some of them are still proof-of-concepts. We also have some new publications and conference presentations we have been working on lately. You will find a list of them from the end of this post. Feeler prototype seeks to foster reflection about learning experiences through EEG data. The tool uses a brain waves self-monitoring device and visualizes the data through a desktop app. In Feeler, users are invited to follow a script that divides an academic task in three moments: 1) meditation, 2) study and 3) assessment. When using Feeler, learners interact with a set of tangible and “smart” objects (Arduino + Bluetooth). Each object is used in a specific moment of the script. July 2015 the first prototype was ready and several user tests with the MA students were carried out. Interviewees provided valuable feedback and as a result, we identified many aspects that need to be redesigned. Once the data analysis is completed, we will share the results in some academic venue, as well as start working on next Feeler design iteration. Social Augmented Reality (Social AR) app is a mobile application for sharing information in a work context. With the Social AR the user may share their vision with a video communication and drawing on the video feature. It has been designed primary for people in a need of sharing their locational and manual work tasks with their peers. In February 2015 we made a proof-of-concept implementation as a web app. The web-based prototype will be further developed for mobile devices within coming months. 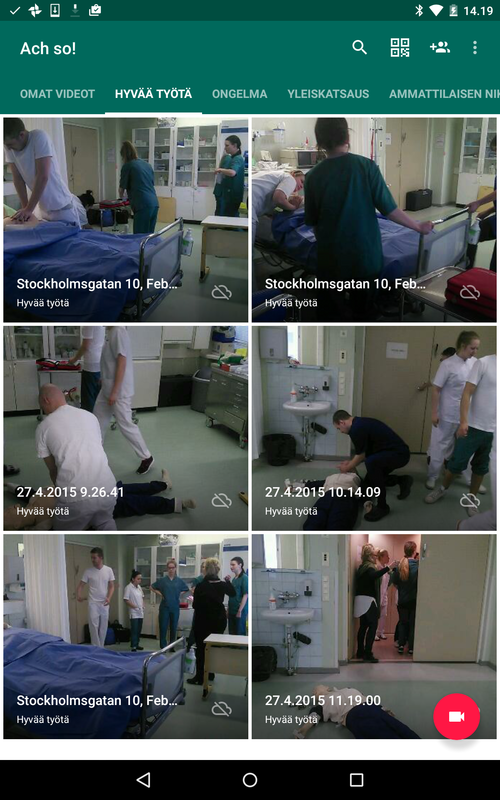 In September 2015 the Social AR will be presented in the Academic Mindtrek conference and in the Pixelache Festival. Ach so! has not laid on developers’ desk but has been applied as a reflection and documentation tool for exercises of nurse students and training of apprentices at construction sites during past months. User experiences and expectations showed that the design of Ach so! met the main educational objectives as a learning tool. Outcomes of the field tests will be presented in September 2015 in the European Conference on Technology Enhanced Learning (ECTEL 2015) conference in Toledo, Spain and will later published in the conference proceedings. 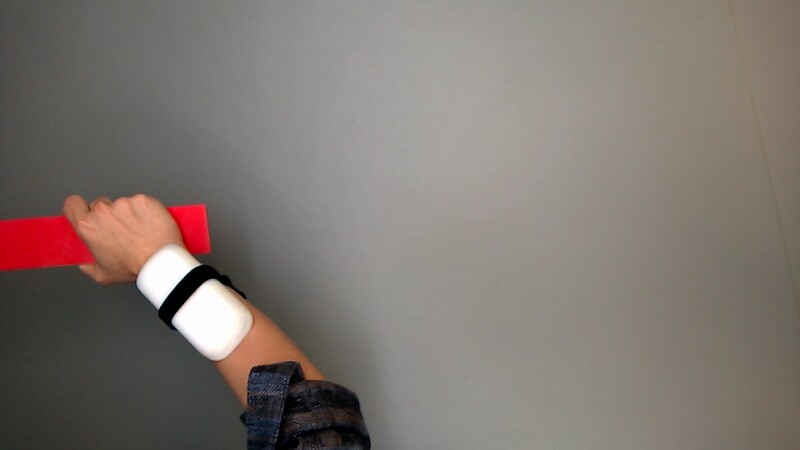 Kinemata is a wearable device that captures the user’s body movements for the purpose of learning. Here is a list of the latest publications and conferences. Durall, E., Leinonen, T. (2015). Why do we want data for learning? Learning Analytics and the Laws of Media. In B. Gros, Kinshuk and M. Maina (Eds). The Future of Ubiquitous Learning. Learning Designs for Emerging Pedagogies, (59-72). Lecture notes in Educational Technology. Springer Berlin Heidelberg. Toikkanen, Keune, and Leinonen (2015). Designing Edukata, a Participatory Design Model for Creating Learning Activities. In van Assche, Anido-Rifón, Griffiths, Lewin, McNicol (Eds). Re-engineering the Uptake of ICT in Schools. Springer Open. Bauters, M. et.all (2014): Results of Exploratory Study & Design Implications. Learning Layers – Scaling up Technologies for Informal Learning in SME Clusters. Bauters, M. et.all (2014): Layers Tools for Artefact and Mobile Layer. Learning Layers – Scaling up Technologies for Informal Learning in SME Clusters. Haddad, H., Kelly, T., Leinonen, T., Saarinen, V. (2015): Advancing Development with Mobile Phone Locational Data . World Bank Group, Washington, DC. Põldoja, Hans; Duval, Erik; Leinonen, Teemu (in Press). Design and evaluation of an online tool for open learning with blogs. Australasian Journal of Educational Technology. Marjo Virnes (2015). Robotit, lapset ja kohtaamiset, Koodikerhon blogi, August 24, 2015. Marjo Virnes & Jukka Purma (2015). Ach so! -mobiilisovelluksella lisäulottuvuuksia oppimiseen. Osaaja magazine, July 6, 2015. Rakentaja magazines’ article on Finnish vocational training and Ach so! field tests, 3/2015. Durall, E., Uppa, H., Leinonen, T. (2015). Design for Sustainability: Fostering Reflection during the Design Process. In Nordes 2015: Design Ecologies. Challenging anthropocentrism in the design of sustainable futures, 1(6). Tarmo Toikkanen. Edukata: Osallistavalla muotoilulla opetus uusille urille. Virnes, M., Purma, J., Bauters, M., Leinonen, T. (2015). Creating and Sharing Knowledge through Experiences: a Case Study with Ach So! in Healthcare Education. in 10th European Conference on Technology Enhanced Learning (EC-TEL), September 16, 2015. Pejoska, J. Kinemata demo. Design Challenge: Envisioning Wearable Enhanced Learning in 10th European Conference on Technology Enhanced Learning (EC-TEL), September 16, 2015. Pejoska, J. Social Augmented reality demo at the Academic Mindtrek Openmind conference in Tampere, Finland on the 23-24th of September. This entry was posted in Conferences, Design, Development, Learning Layers, Publication, Research by Teemu Leinonen. Bookmark the permalink. Exceptional description and very useful bibliography!